SAP Fiori smart business apps are used to monitor your most important KPI’s in the real time and to make changes as per market conditions immediately. Note − There are around 84 Analytical apps under this umbrella and out of these, you have 69 apps are smart business apps and rest 15 are Analytical Apps. SAP HANA Live provides exceptional capability analytics for all business suite by enabling industry standard access to SAP data through data models. The data models are used for analytical purpose using views in HANA database. The views form a virtual data model that a customer and partner can reuse. Private View − Private views are SAP views and you cannot modify these views. 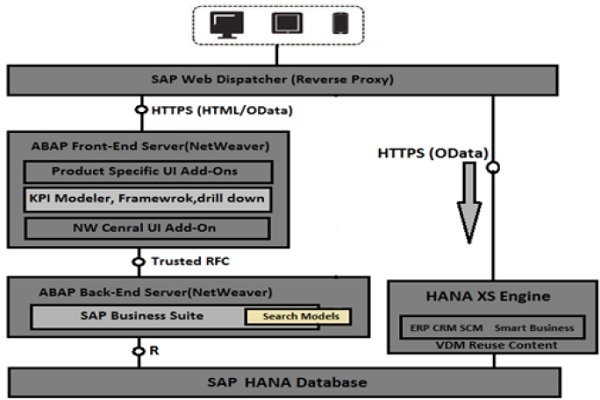 Reuse View − Reuse views are heart of SAP HANA model and they expose the data in structural way and they are designed to be reused by other views. Query View − Query views are top views in hierarchy and designed for direct consumption by Analytical apps and cannot be altered. It is a tool used to model KPI and report tiles for monitoring the business data using Fiori Launchpad. You can define KPIs and reports to which you can apply different calculations and it enables you to make adjustment according to changing market conditions. You can configure drill-down views.